You can easily reach the school from your accommodation by bus or train with stations only five minutes away on foot. The course centre has comfortable and bright classrooms, a cafeteria plus a fully-equipped kitchen and welcoming terraces where you can relax with friends. The size of Alpadia Montreux means that we are able to give students our personal attention and be there for you when you arrive and throughout your stay. Thanks to the many in-house computers and wireless network through-out the school, you can go online and check your emails for free. At the end of class, you can go straight onto the terraces by Lake Geneva with the other students or visit the shops nearby. 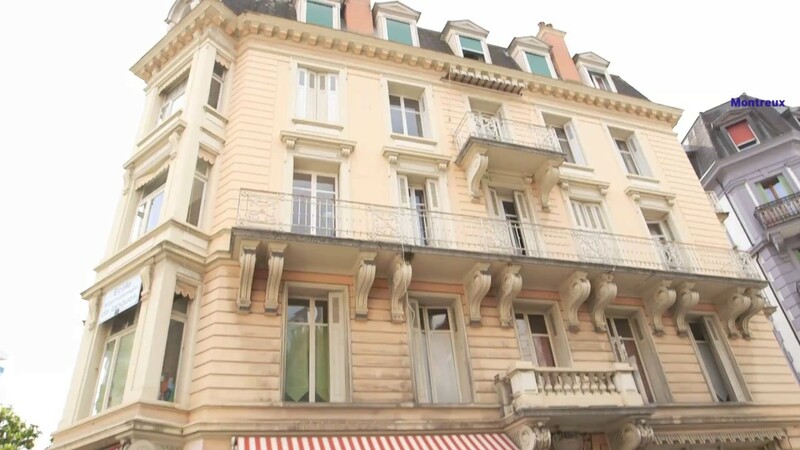 Alpadia Montreux is a wonderful location to learn and get immersed into the French language. In our bright, modern classrooms, you will benefit from high-quality teaching that combines fun and effective educational styles to give you a well-rounded learning experience. The range of courses available gives you several options, all of which follow the Common European Framework of Reference for Languages (CEFR). As we test your language level before you arrive at school, from the first morning you will already find yourself in the appropriate French class. If you are looking for a thorough, group-learning experience, you will find that this French course fits the bill! With extra attention given to oral communication skills, this course helps you make solid progress. The minimum duration for A1* absolute beginners is two weeks. *Specific start dates for absolute beginners > A1. This course framework helps you acquire general French linguistic skills that can be readily applied to day-to-day life. Benefit by developing your core language proficiency and by still having plenty of free time. The minimum duration for A1* absolute beginners is two weeks. *Specific start dates for absolute beginners > A1. Providing a dynamic, in-depth approach to learning French, with specific classes dedicated to oral and written communication, this comprehensive class allows you to build your confidence and fast! The minimum duration for A1* absolute beginners is two weeks. *Specific start dates for absolute beginners > A1. Ideal if you seek variety in your French language learning experience as this course provides a solid foundation with additional private lessons to address particular objectives and discuss specific themes. The minimum duration for A1* absolute beginners is two weeks. *Specific start dates for absolute beginners > A1. Here, I have met wonderful people, excellent teachers and new friends that I hope to keep as friends for a long time. I've done many language study trips, but never have I had such an extraordinary experience as I have here! I chose to come to Montreux, not for the pleasure to improve my French, but because I needed it for my job. Due to previous bad experiences, I didn't like this language. I hated it. But, little by little, staying here, this contempt has been replaced by the pleasure to learn and to improve, and now French is inside my heart. When I arrived, I didn't think that I could succeed an exam two levels higher than mine! Moreover, I didn't imagine, that I would stay one month more for an internship at the school. Discover a generous choice of comfortable high-quality lodging. Enjoy the broad range of year-round activities in the Swiss Riviera. From spring to autumn, you can take part in numerous mountain and water sports like climbing, paragliding, sailing, waterskiing, stand-up paddle or mountain-biking and in winter you can go skiing, ice skating or snowshoe trekking in the one of the world's largest ski resorts “Les Portes du Soleil” – the Riviera is a real sports paradise! If you are not into sports, there is still plenty to see, as you can visit the famous medieval Château de Chillon, sail on a hundred-year-old steamboat on Lake Geneva, enjoy the beautiful Christmas market in winter or experience the world famous jazz music festival. One of the most famous car shows in the world, this yearly event gathers together hundreds of automobile manufacturers who take the opportunity to present their latest innovations and models under one very large roof. This is the place to be to check out the most sleek and beautiful models of both automobiles and female hostesses! For over 30 years, this unique jazz festival offers over a week’s worth of concerts performed by some of the leading names in the jazz world. Experience a quality musical programme that presents diverse forms of jazz located in the quaint lakeside village of Cully. For over 10 years this event, the largest of its kind in Switzerland, has been dedicated to pop culture, video games and manga! Taking place in a space covering 18'000m2, this unique festival features concerts, projections, video game tournaments, karaoke, a comic book section and a massive shopping area. For 30 years, this annual woman’s volleyball tournament has welcomed the world’s best national teams to play for the championship trophy. The largest open-air festival in Switzerland, this pop-rock music event takes place in Nyon, between Geneva and Lausanne and boasts over 250 concerts over six days, to over 200,000 spectators. This year, to celebrate its 40th anniversary, the festival will last seven days! For over 20 years during the summer, Vevey becomes the gathering place for street performers from all over the world; from jugglers to clowns, from actors to acrobats, from mime artists to fire eaters. More than just a parachute competition, this free event includes impressive demonstrations from daredevil thrill-seekers who paraglide and base-jump to pull off some spectacular, synchronised manoeuvres. Celebrate the 72nd edition of this classical music festival that takes place in the prestigious Stravinski Auditorium. Welcoming Philharmonic orchestras and legendary pianists from all over the world, the festival programme also proposes workshops and rehearsals open to the public. For both adults and children, this yearly event gathers motivated runners of all ages to take on the challenge of a 21 km or 42 km marathon! Located on one of the most beautiful routes along Lake Geneva, the marathon starts and ends at the Olympic Museum in Lausanne, running to Vevey and back. Presenting a whole host of artists and galleries from Europe and beyond, this annual art exhibition takes place at the Montreux Music and Convention Centre. Discover this yearly celebration that takes place on the second Tuesday of November, on the central market place in the town of Vevey. This ultimate autumn event is jam packed with arts, crafts, food and clothes. The festive day began in the Middle Ages as an opportunity for all local residents to become merchants for the day, tax-free! Experience the magic of Christmas with this yearly market where you can find all manner of gifts; crafts, regional specialties, as well as mulled wine and traditional food to delight the senses and to truly get you into the festive spirit. Celebrate the region's wine production and local fare at this wine-tasting event located in the town of Vevey. With over 25 stands, you can test and purchase from a large selection of wines in the festive atmosphere with music and Swiss specialties including fondue! Celebrating over 25 years of laughter, this annual French and English speaking comedy festival invites top comedians from the world over. This week-long festival presents a whole host of workshops and comic performances to make you laugh till you cry. At the same time as the Montreux Christmas market, this event brings together storytellers, local artisans and musicians to share the magic of Christmas. With local and traditional delicacies, medieval dances and a candle-making workshop, you will find plenty to do! Over the course of a week, this world famous and highly acclaimed international dance competition attracts some of the world's best young classical and contemporary dancers, who compete in the hope of being selected to join a world-renowned dance company. With a gorgeous and unique setting, Alpadia Montreux proposes a wonderful place to learn French or English in preparation for entry into one of Switzerland's higher educational institutions. Reputed the world over for its Swiss quality teaching, top universities, high quality of living and beautiful natural landscapes, studying in Switzerland is a great choice for both personal and professional development. Our Swiss university partners offer Bachelors in Finance, Business, Hospitality and Tourism Management and Art & Design. Apart from being one of the most beautiful towns in the country, Montreux, the Pearl of the Swiss Riviera, enjoys a Mediterranean climate and a multicultural atmosphere that makes it a wonderful place to work and study. With some of the world's leading hotels as well as top medical and financial institutions, the Swiss Riviera offers an ideal location to benefit from learning French and, according to your experience, apply your knowledge directly within local industry. Alpadia Montreux cooperates with Bénévolat Vaud. Supported by the Canton of Vaud, Bénévolat-Vaud's mission is to develop and support associations, volunteering and mutual aid in the canton of Vaud. Book @ Alpadia Montreux and get FREE weeks! Take advantage of our exceptional offer at Alpadia Montreux and benefit from a free week of tuition for every 8 weeks booked. 16 weeks gives you 2 free weeks, 24 weeks gives you 3 and this continues until 48 weeks. Valid for bookings on Standard, Intensive and Premium courses only, until 30th April 2019. If you are not European, you will need to verify the visa requirements for entry into Switzerland. It is essential that you apply well in advance to make sure your paperwork arrives in time for your course. Click on the link below to see our dedicated student visa page. "On the behalf of our teachers and staff, I welcome you to Alpadia Montreux. Our school brings together international students in a pleasant and studious environment to learn French with highly qualified French speaking teachers. You will also have the opportunity to enjoy Montreux, a very charming town surrounded by the Alps, located on Lake Geneva. With its cafés, historic places and Swiss fondue, we are sure you will enjoy your stay with us! We hope to welcome you to our school soon!" Arnaud has been teaching at Alpadia Lyon for almost 3 years and in April 2017 he took over the Student Support position. Before that, he taught French in Mexico for 2 years, which changed his life. So why did he come back to the land of cheese and wine? The answer lies hidden in the question! He returned to France with a new perspective that he wants to share with everyone around him. He loves teaching French and learning from his multicultural students. After several years at Lyon, Arnaud has now transferred to Alpadia Montreux where he is Pedagogic Coordinator & Teacher. We are fortunate to have such a passionate team member on board! Currently responsible for the reception desk, Ulrike is the first contact for students’ on the spot queries. She makes sure that our students in Montreux get the best quality support and service during their French language stay. She completed an apprenticeship in the hotel sector in Berlin, her hometown, and worked for 5-star-hotels in Germany and Switzerland for several years before joining Alpadia in 2012. Hugues has taught French as a second language at Alpadia since 2003. Having initially gained his experience in the health industry, he then decided to become a teacher and soon after joined the Alpadia team. Passionate about cooking and sports, you’ll find him to provide a wealth of information on language and on life! Nina joined Alpadia Montreux in February 2016. She teaches French every morning and is also responsible for the afternoon activities. Passionate about languages, Nina studied French and Latino-American literature in the United States and then moved to Columbia before arriving in Switzerland. She has been teaching foreign languages (French, Spanish and English) on the American continent for 4 years.